We’d love your help. 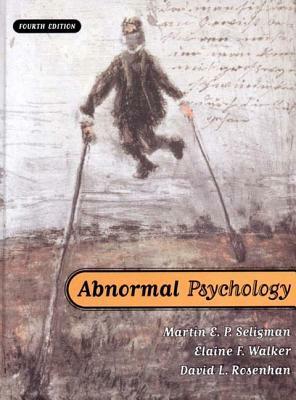 Let us know what’s wrong with this preview of Abnormal Psychology by Martin E.P. Seligman. 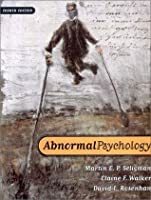 This undergraduates textbook covers applied psychology, abnormal behaviour or psychology for medical students, and anxiety and phobias. 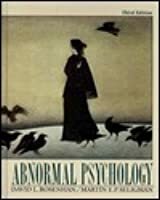 To ask other readers questions about Abnormal Psychology, please sign up. 100 Books That Will Make You More Interesting, More Attractive and Sounds Smart Even If You Aren't. This is the WORST textbook I have ever read. Unorganized and full of GRAMMAR ERRORS WTF, don't these people pay proofreaders? This was a great textbook that we had in class. It was so good in fact that I found myself reading it outside of class. Seligman is the Zellerbach Family Professor of Psychology in the University of Pennsylvania's Department of Psychology. He was previously the Director of the Clinical Training Program in the department. Seligman was elected President of the American Psychological Association by the widest margin in its history and served in that capacity during the 1998 term. He is the founding editor-in-chief Seligman is the Zellerbach Family Professor of Psychology in the University of Pennsylvania's Department of Psychology. He was previously the Director of the Clinical Training Program in the department. Seligman was elected President of the American Psychological Association by the widest margin in its history and served in that capacity during the 1998 term. He is the founding editor-in-chief of Prevention and Treatment Magazine (the APA electronic journal), and is on the board of advisers of Parents.